This is awesome!!! This dvd has everything you need. 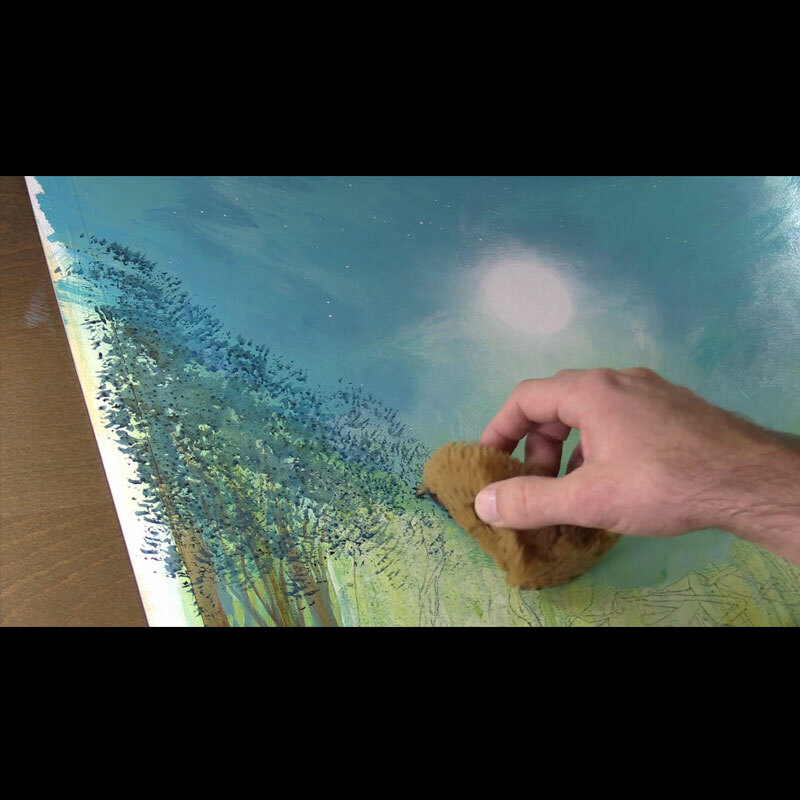 He takes you on an “art adventure” showing you the process he goes through to do his paintings, he has bloopers which are histarical, and I would say that this is definitaly worth the money. Thanks Jeff for the dvd!!! This DVD is more than what I had been hoping it would be! 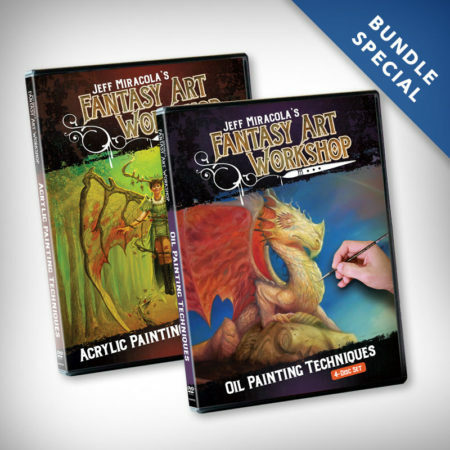 From start to finish it is packed full of knowledge and useful tips that any artist regardless of skill level can appreciate. I highly recommend adding this DVD to your collection and it is more than worth the money. And not only informative but entertaining as well! Thank you Jeff and Silvia for all of your hard work and providing such a great tool to the art community, we appreciate you both very much! Look forward to future DVD’s!! 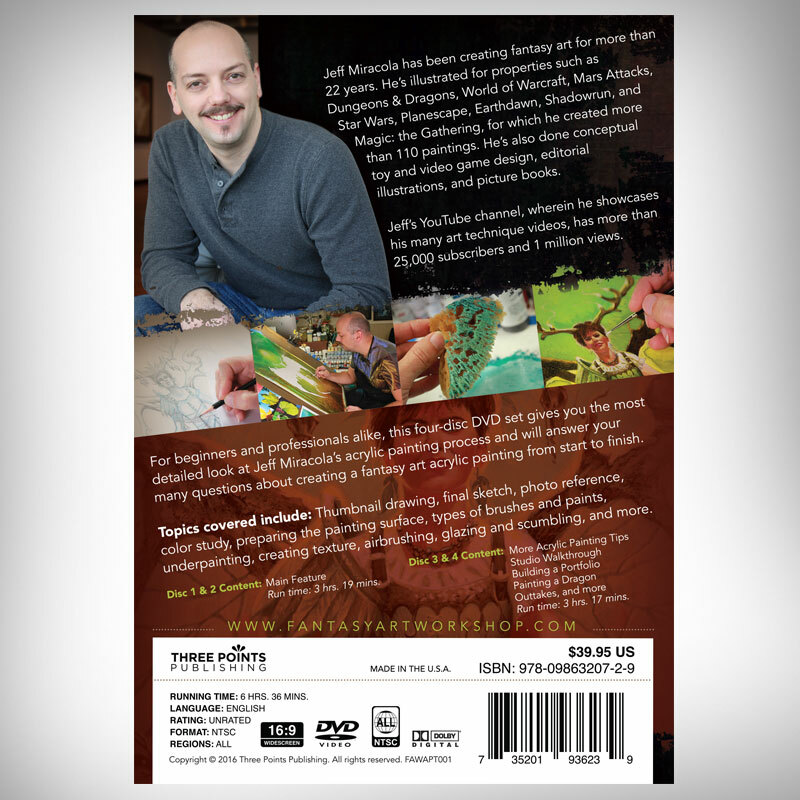 Well this DVD exceeded my expectations with so much useful information only wish there was something like this when I was younger but for all the artists out there now are so lucky to have some of the best information like this available and deffenitley will be hanging out for one done with oil paints. And about sealing and varnishing finished paintings, what can and can’t be painted over such as painting over graphite drawings or coloured pencils, and a big question of mine is using oils on paper or unstretched canvas can it be rolled to ship or will it crack? And I’m sure jeff will cover a lot more things that I can’t even think of and things I need to learn. Thank you jeff truely inspirational and motivating. I found Jeff on YouTube over a year ago. After watching his online videos, both acrylic and oil I got some basic supplies and started painting. Spending hours eating up the information he provided and just watching him work got me inspired and motivated. I recently stumbled upon Jeff’s YouTube channel as it was a “suggested for your” channel. The colors and depth of the thumbnails immediately caught my eye and I clicked to watch. After watching a couple videos, I saw a blip in one for the DVD set. Clicked on it, watched the promo, and decided right then that this was something that needed to be my instructional DVD collection. 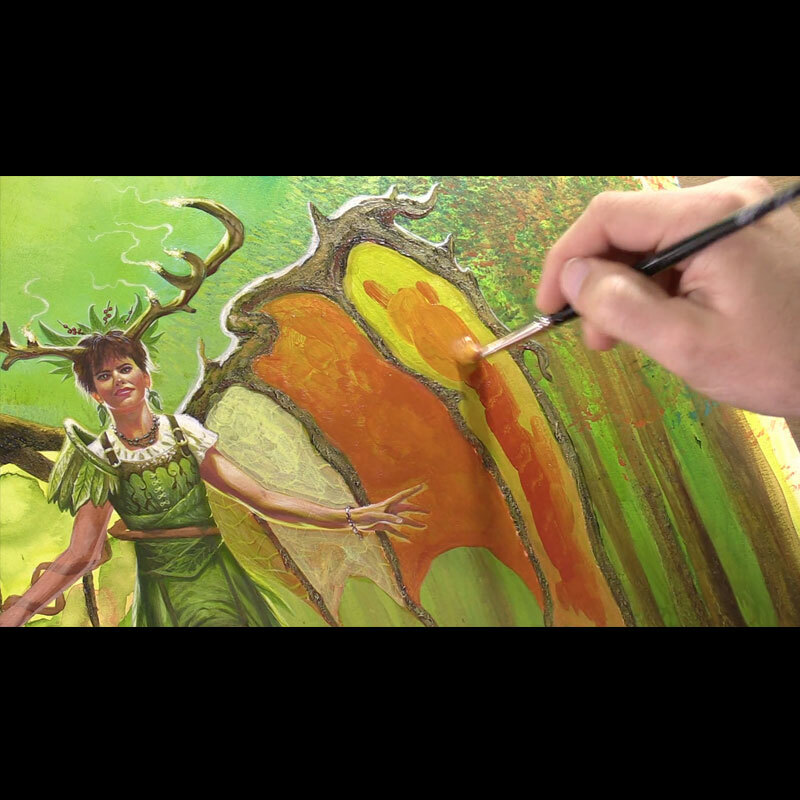 I am a commissioned artist primarily using an airbrush, but I also paint with soft body acrylics (used in the video), watercolor, and do some pencil/ink drawing. 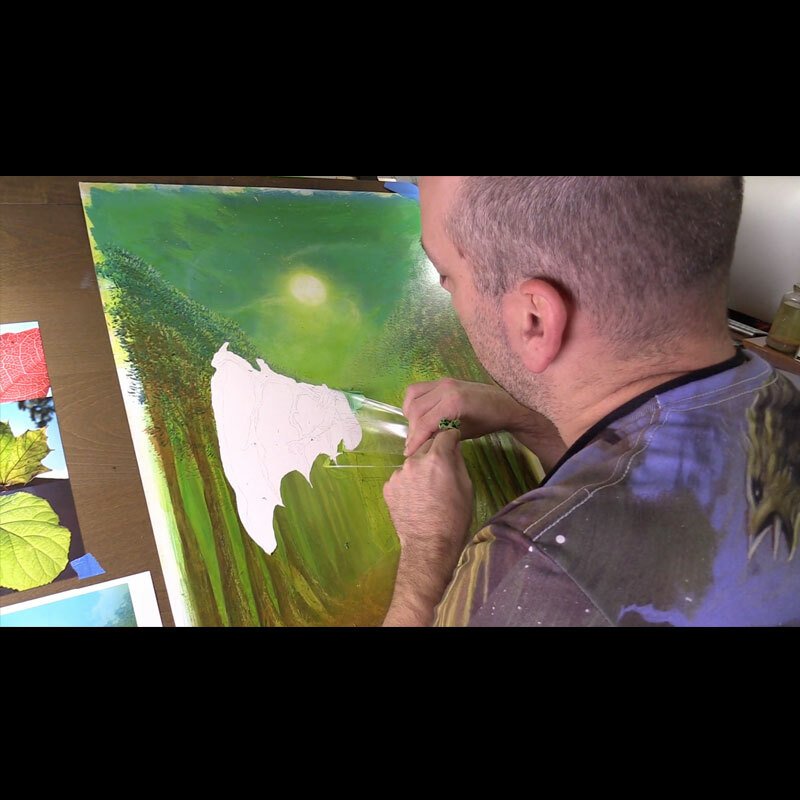 Jeff states up front that this is not a “paint along” video, but a video designed to share and show his techniques for acrylic painting. 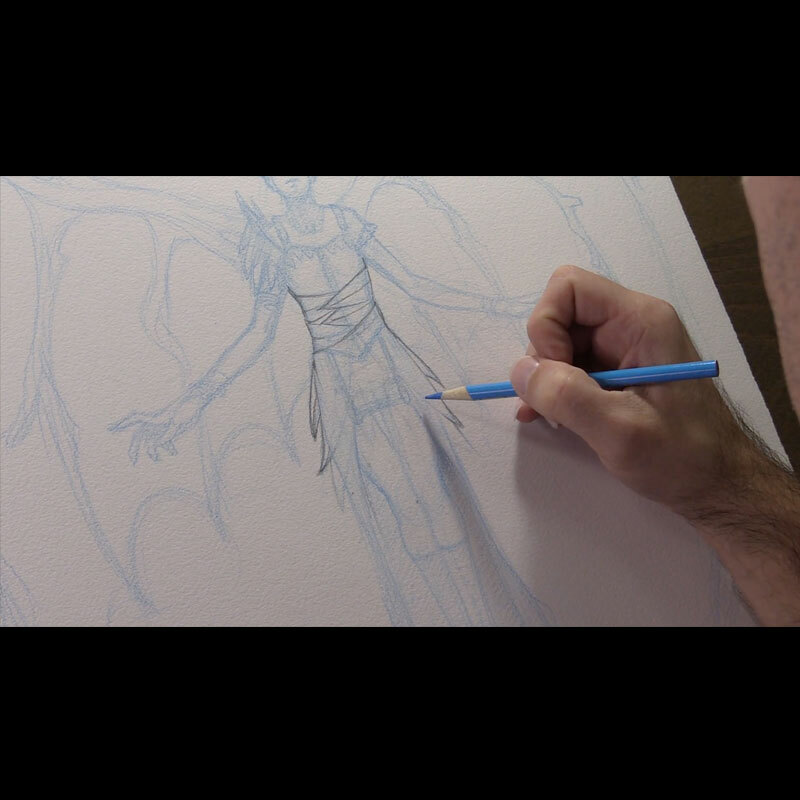 The entire process is covered beginning to end for the artwork that adorns the DVD cover. 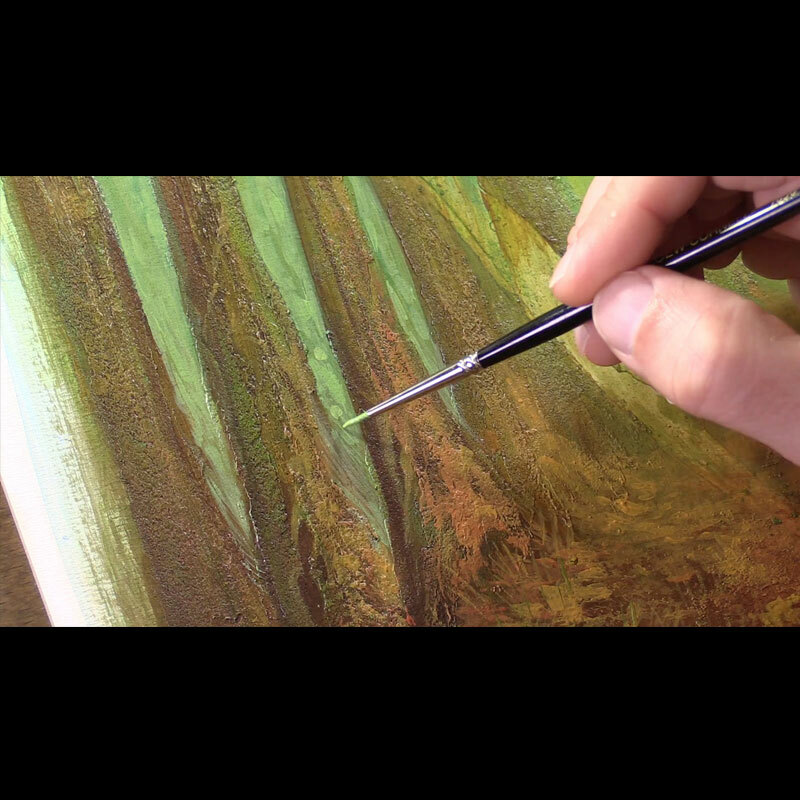 Beginning with thumbnail sketching, final composition drawing, transferring the image, and painting start to finish. Jeff also explains everything well as you follow along in the video. 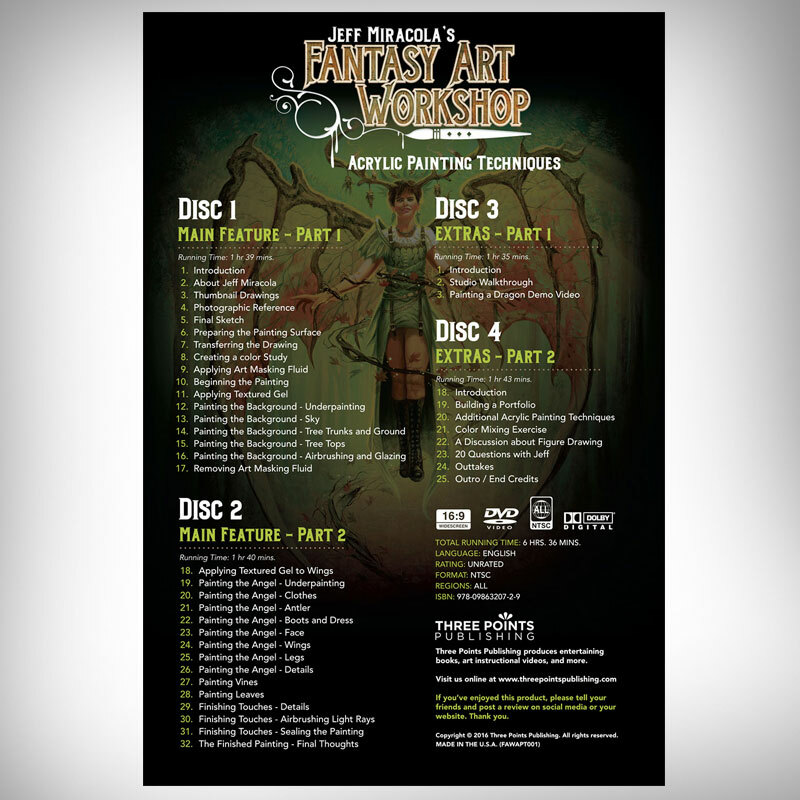 As a semi-pro artist, the information in this video can be transferred/utilized in other art methods – creating textures, color balance/harmony, techniques, and much more – and that’s just the first two DVD’s for the main project. 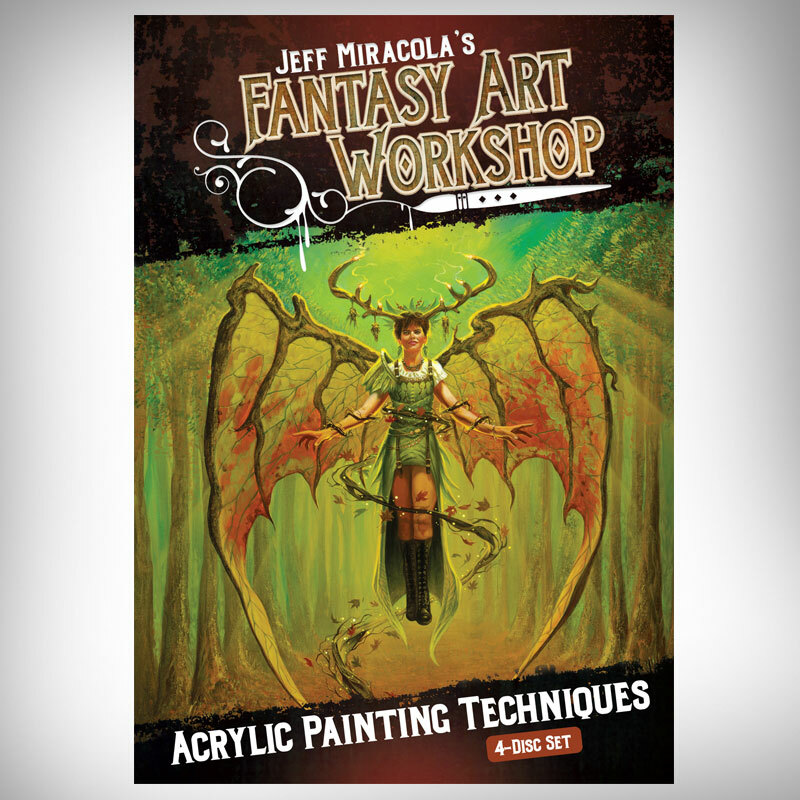 Jeff then goes on to continue showing a variety of other acrylic painting tips, answering (good) questions about acrylic painting and the art process, a dragon painting, and good advice for building a portfolio for showing potential clients. A+ Jeff. This is a video I will go back and watch again and again, and recommend to anyone interested in acrylic painting. 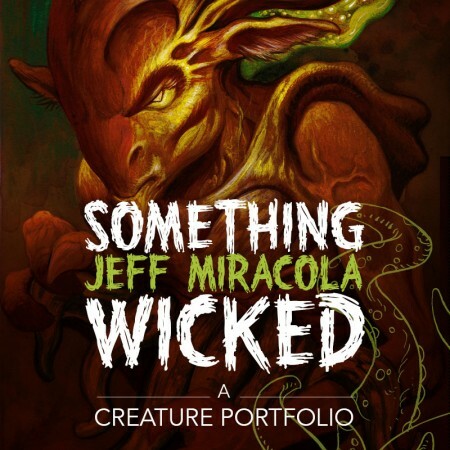 Jeff also mentions that he is creating an oil painting DVD set. I will buy it as well. I’m not an oil painter at all, but as a serious artist, gaining knowledge of new techniques, mediums, and learning is a constant process and I am looking forward to Jeff’s next installment.